What is it about a coffee shop that makes it so much easier for me to focus on freelancing? Why can’t I get that level of concentration when I’m sitting in my home office with an unlimited amount of music at my fingertips? I don’t know the science behind it, but I was able to bring the effect home recently after discovering Noisli. 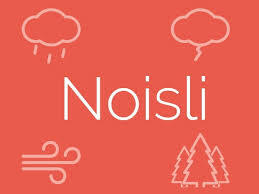 While writing a blog about the best apps to improve your productivity, I happened across Noisli, which provides you with a bevy of options of white noise to play on your device of choice. Sounds of rain, the ocean, my coffee shop, and about two dozen other choices are available on the free version. I went with the coffee shop, as that’s one of my favorite places to hone in on article writing or any ind of editing. The effect was instantaneous, almost shockingly so. It was even better than Starbuck’s, which sometimes pipes eclectic music a bit too loud for my tastes. My computer began piping out the low buzz of conversation, cups clinking, drinks being made, and the occasional open-and-close of a door. I focused in on almost immediately, with the only reminder that it was artificial noise a rather loud female laugh that pops up about every hour or so. The rest of the time, I was like a laser-beam, focused, on task, and most of all, really efficient and creative, which is kind of the point, right? It’s not for everyday use, I’ve found, although I tend to trend towards non-vocal music when I’m working. The lone exception is my entire family’s current fixation with the soundtrack from “The Greatest Showman,” but otherwise it’s a steady diet of Noisli, Star Wars soundtracks – “Rogue One” and “The Last Jedi” are both getting heavy rotations, as well as some of Spotify’s custom “reading/studying” playlists. If you can’t get focused at home, whether because your beagle is snoring too loud, the neighbor keeps using the weed eater, or the refrigerator won’t stop calling your name, give Noisii a try. This blog is not affiliated in anyway with Noisli, but if someone from Noisli is reading this and wants me to be their WordPress shill, just let me know I’m all about that passive income stream.